Insects such as houseflies are routinely seen in poultry farms and are known to disseminate microbes. A recent study has shown that houseflies can act as reservoirs of antibiotic resistant bacteria and play an important role in helping spread the bacteria in the farm environment. A team of Japanese scientists, from the Department of Health and Environmental Sciences of the Rakuno Gakuen University in Hokkaidu, and the School of Veterinary Medicine of the Kitasato University in Aomori, found that when flies ingested with antibiotic resistant bacteria through food, the microbes were able to persist in their gut for a week. When these flies subsequently reproduced, antibiotic resistant bacteria could be detected in their eggs, young pupae, and maggots. 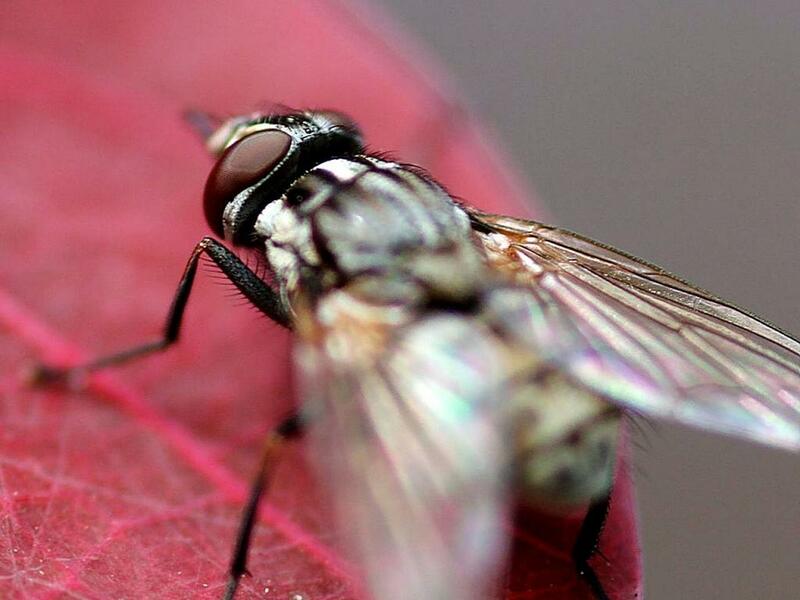 “Resistant bacteria persisted in the houseflies throughout their life cycle, from adult houseflies as they proceeded to the next generation,” the authors said. “Since flies can travel more than 10 kilometers owing to their strong flight capability, they could act as vectors that widely disseminate antibiotic resistant bacteria in the farm environment,” the authors noted in their paper. The results were published in a recent issue of the journal Microbial Drug Resistance. Antibiotic resistant bacteria are an emerging threat to human and veterinary medicine. Long-term existence of resistant bacteria in poultry farms can lead to contamination of livestock products. As a result, antibiotic resistant bacteria can eventually make their way into humans through the food chain. To mitigate the issue of rising antibiotic resistance on poultry farms, the Food and Agricultural Organization (FAO) recommends ensuring good hygiene and bio-security measures on farms to prevent the need for antibiotics for treating animals and applying best practices for waste management to control the dispersal of resistant microbes in the environment.